Tuesday, a panel of three federal judges for the United States District Court for the District of Columbia found in favor of a U.S Department of Justice position stated last year that redistricting plans passed during the 2011 Texas Legislative Session and signed by Texas Gov. Rick Perry (R) were drawn with the purpose of discriminating against Latino voters. The federal three-judge panel stops Texas from enforcing its new Voter Photo I.D. Law. The new I.D. would require voters to present one of a very limited selection of government issued photo I.D. to election officials before being allowed to cast ballots. Approximately 11 percent of otherwise qualified voters overall and up to 25 percent of some otherwise qualified poor and minority groups do not hold any of those specified I.D documents. The three-judge panel found that Texas' new law imposes "strict, unforgiving burdens on the poor" and noted that racial minorities in Texas are more likely to live in poverty. In other words, Texas Photo I.D. 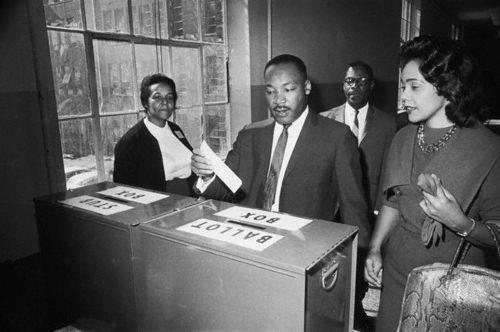 Law (SB 14) was drawn with the purpose of discriminating against African American and Latino voters. Under Section 5 of the 1965 Voting Rights Act, the Justice Department or a federal court is required to pre-clear laws affecting voters before they go into effect in jurisdictions with a history of voting discrimination -- and that includes Texas. The preclearance requirement was enacted in 1965 and renewed by Congress in 1970, 1975, 1982 and 2006. When Texas was designated as a Section 5 state in 1965 due to discrimination against Latinos and African Americans, it grew increasingly defiant of the Voting Rights Act. According to a report by the Mexican-American Legal Defense and Education Fund, “Voting Rights in Texas 1982-2006,” only one state challenged Section 5 in court more than the Texas in that time period—and that’s Mississippi. From 1982 to 2006, Texas registered at least 107 Section 5 objections. Meanwhile, during that same time period, Texas lead the nation in several categories of voting discrimination, including Section 5 violations. In other words, at least 54 times in 25 years, Texas had to back down from an effort to restrict the vote—thanks to the power granted the federal government under the Voting Rights Act. 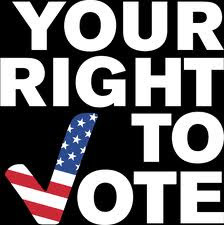 Texas Attorney General Greg Abbott announced he “will immediately” appeal both federal court decisions to the U.S. Supreme Court ~ and again challenge the constitutionality of Section 5 of the Voting Rights Act.